Energy flows at certain points in our bodies. These points are called the 7 Chakras. Each of the chakras are located at different areas of our body and have different meanings and roles contributing to Happiness. To become our truest, best selves, we need to help stimulate energy flow to these chakras. Chakra healing and balancing these chakras are necessary to ensure that our chakras are in perfect harmony for sustaining peace and wellness within our innermost being. 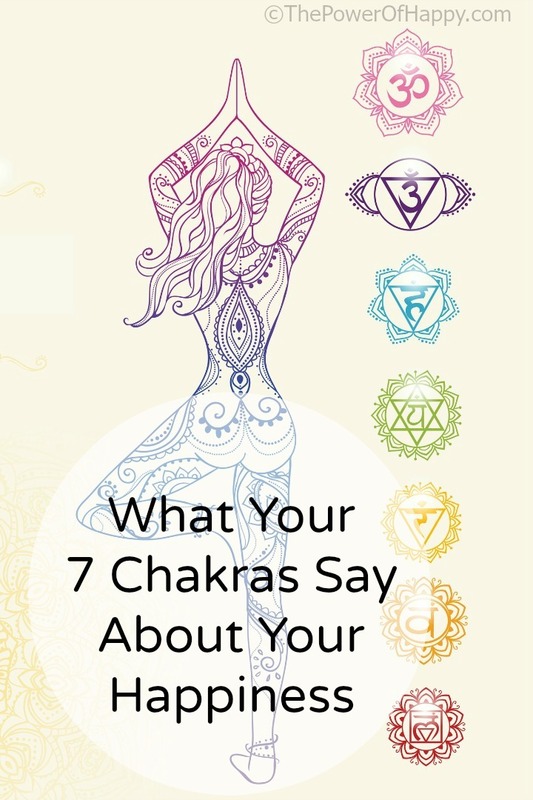 Let us take an in depth look at each of the 7 Chakras and how to enhance each of them for greater happiness. The root chakra, or Muladhara, is situated at the tailbone. It basically deals with one’s sense of security and survival instincts. It helps us feel a connection between ourselves and the material world. Red is the color of the root chakra. An unbalanced root chakra can lead to unhappiness in the form of seeking security. Likewise, it can leave one constantly feeling uneasy and experiencing irrational fears. Selfish behaviors tend to arise from an unbalanced root chakra. An under-active root chakra can be balanced by eating or using red food/ drinks, clothes, oils and crystals. You can also enhance it through better sleep and exercise. Focus on your basic needs in order to balance this chakra. The sacral chakra, also called Svadisthana, is found at the lower abdomen. It generally deals with our emotions as well as intimacy and sensuality. Orange is the color of the Svadisthana. When performing at its best, this chakra helps us feel a sense of wellbeing as well as harmony with other people around us. When this chakra is off balance, it can create a sense of unhappiness in the form of a lack of energy and lack of zest for life. Likewise, addictions can arise and relationship problems as well. You may feel like you need to control and dominate in the relationship and you may also feel closed off and unable to become close with other people. 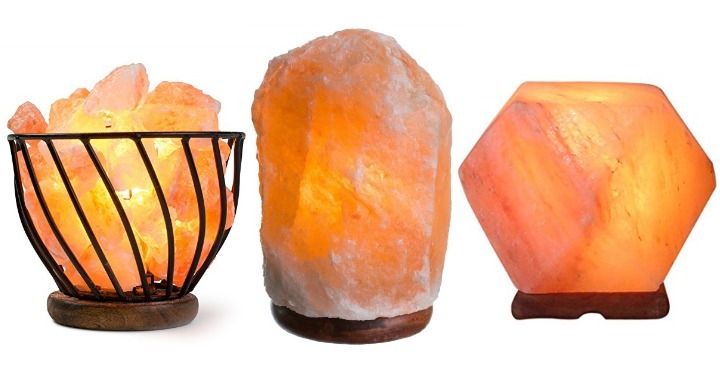 Massages are a good way to help heal this chakra, as do using orange gemstones–or other objects. The Manipura, or the solar plexus chakra, is situated in our stomach area. Its color is yellow and it ideally helps enhance self-confidence. When overactive, it makes one seem arrogant or with overly high self-esteem; but when balanced it helps one feel confident enough and in control. The key signs of an unbalanced solar plexus chakra with respect to your happiness is that if unbalanced you will have issues related to self-esteem. 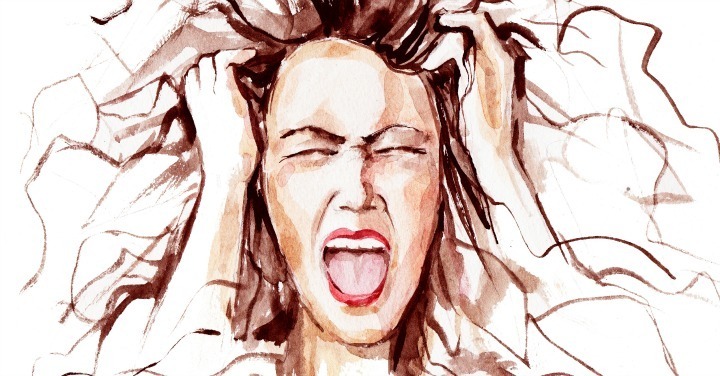 You may feel out of control, down, embarrassed for no good reason, have an unreasonable fear of rejection and an inability to handle criticism. Generally, an issue with the solar plexus chakra leads to low self-worth. Likewise you may suffer with chronic fatigue. To work on this chakra, spend time outside breathing in the air and work on your self-confidence and self-love. The green chakra, or the heart chakra, aka Anahata, stimulates one’s feelings of kindness and love. It is found in the center of our chest. When properly functioning, it helps us feel joy and perfect love. When under active, this can create a number of problems including feelings of anger, loneliness, jealousy and a constant need for validation. This can arise from tragic events and losses. You can help boost it by simply spending more quality time with your loved ones and by focusing on the positive aspects of your life and relationships. You can also help to open the heart chakra by opening yourself to new relationship and being of service to others. The Visuddha, or throat chakra, is the blue chakra. It supports our communication and interaction with other people. When working optimally, the throat chakra enables you to express yourself freely and comfortably. 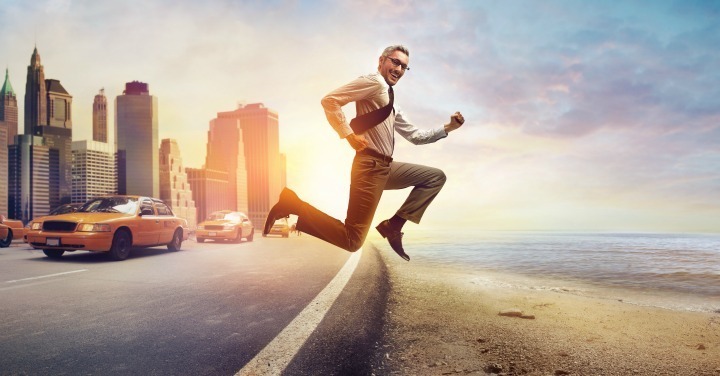 When not working optimally your happiness can be impacted greatly in that you may feel out of control and lacking willpower, you may have trouble expressing yourself or feel scared to express yourself. You may become complacent or simply follow along with the crowd and the opinions of others. Surround yourself with blue to allow more energy to flow to to your throat chakra. Eat blue foods, such as blueberries. Also try to engage more in meaningful conversations. The indigo chakra, or Anja or the third eye chakra (also called the brow chakra), mostly deals with our power of intuition. It is situated right between our two eyes. When activated and balanced, it helps enhance focus. It also helps one to become wiser and also frees the imagination. When closed or unbalanced, you may simply feel blocked in many areas of your life. You feel confused and as if things pass over you without “getting it.” You may feel a lack of confidence and an inabilty to live outside of your own head. The crown chakra, or the Sahasrara, is the violet chakra. 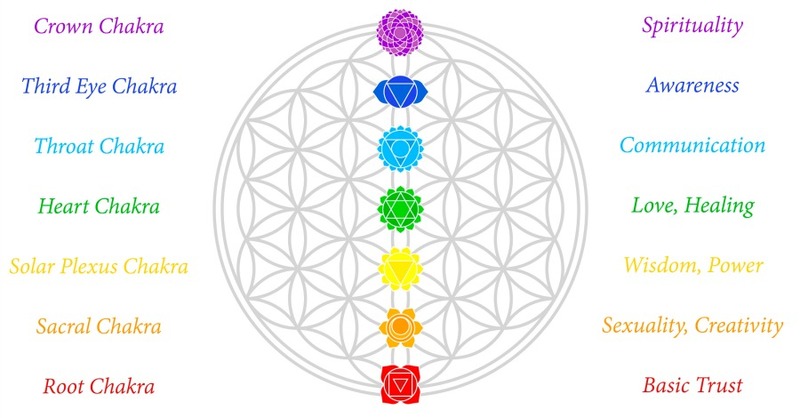 It is the chakra that helps us with understanding and is located right atop of our heads. It also deals with our sense of belongingness and spirituality. If this chakra is blocked you may feel depressed and/or have cycling thoughts that don’t seem to cease. You may also feel confused, disconnected or worthless. To help stimulate an under-active crown chakra, focusing on your dreams or ambitions can help improve energy flow to it. It is important to keep all our chakras well-balanced to attain great happiness and harmony within our selves. 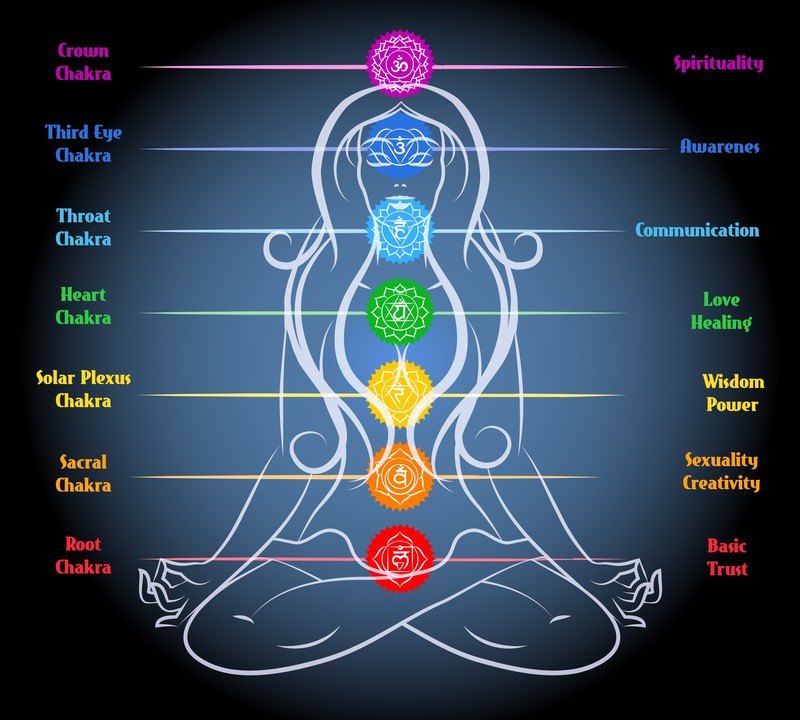 Chakra healing or balancing are very important, as do Chakra meditation to keep energies flowing freely to the 7 chakras. You can also try being more aware of each of the chakra colors and locations, focusing on their light to make them glow with more power.